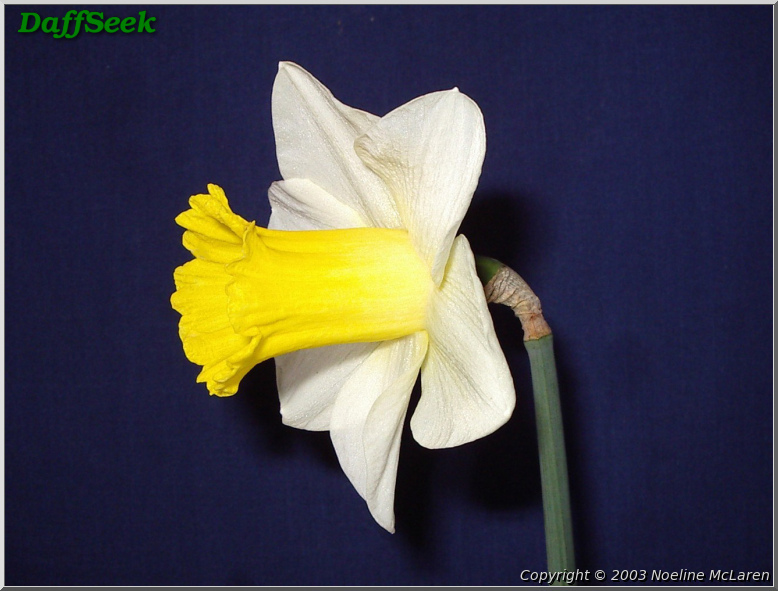 Perianth segments broadly ovate, blunt, slightly mucronate, greenish white, spreading, a little concave, heavy substance, overlapping half; inner segments shorter, more narrowly ovate, square-shouldered at base; cup is cylindrical, broad, brilliant yellow, paling a little to base, mouth strongly ribbed, slightly flared, wavy, with rim notched and crenate. 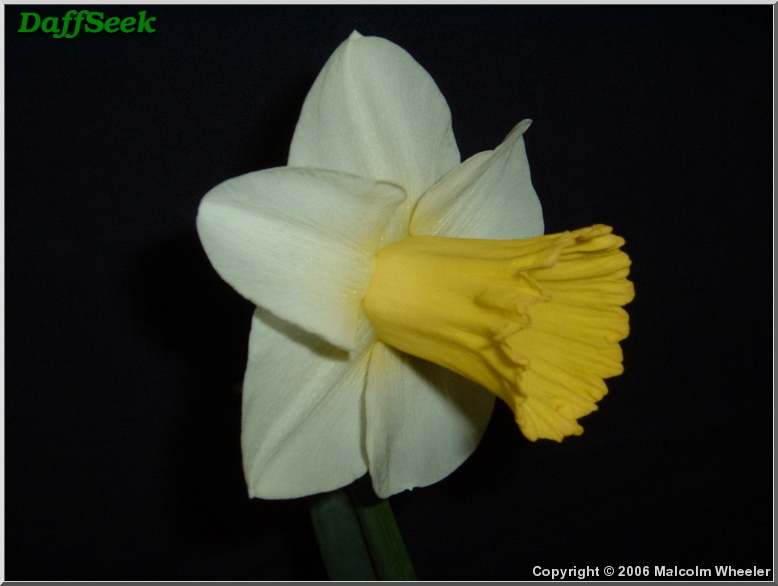 Resembles ‘Lenz’ but with the perianth more rounded. 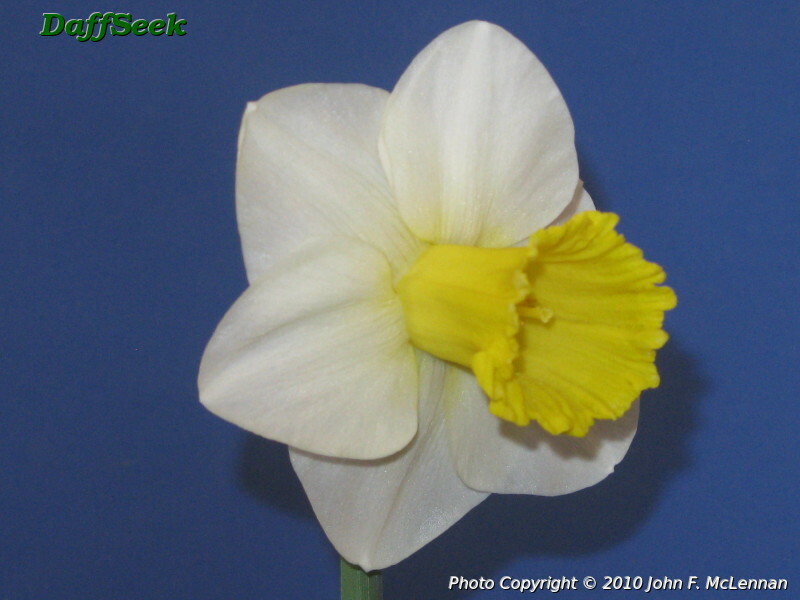 The name ‘POPS’ stands for “Phillips Open Pollinated Seedling”. 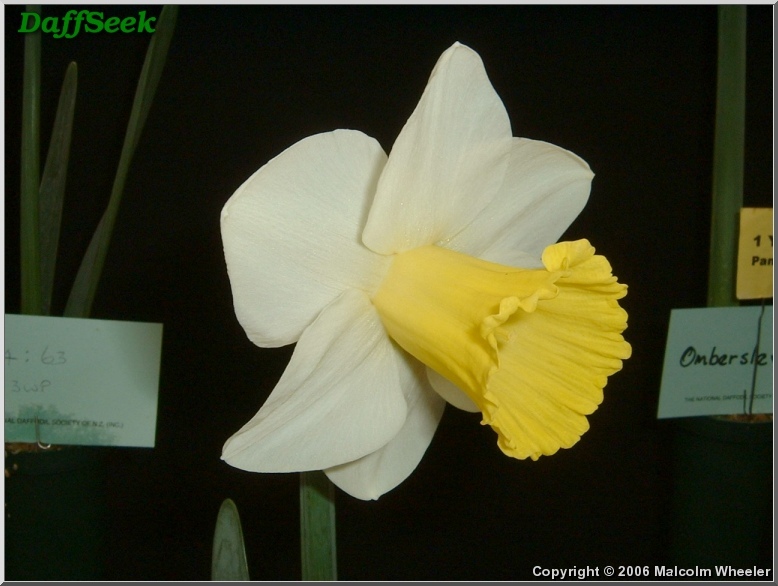 Phil Phillips of New Zealand gave a cup of seeds to Bill Bender of the U.S.. Bill planted the seeds and after years of evaluation, found this flower was notable and worthy of registration. 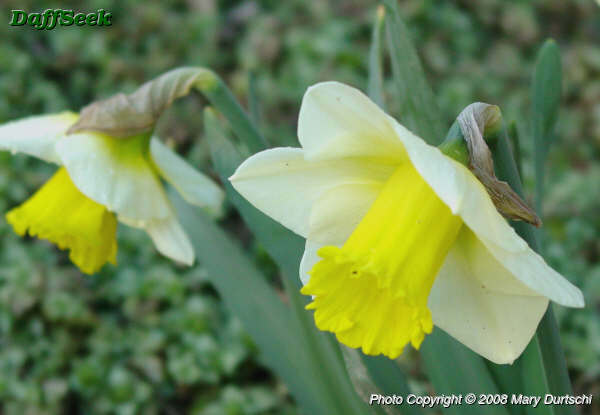 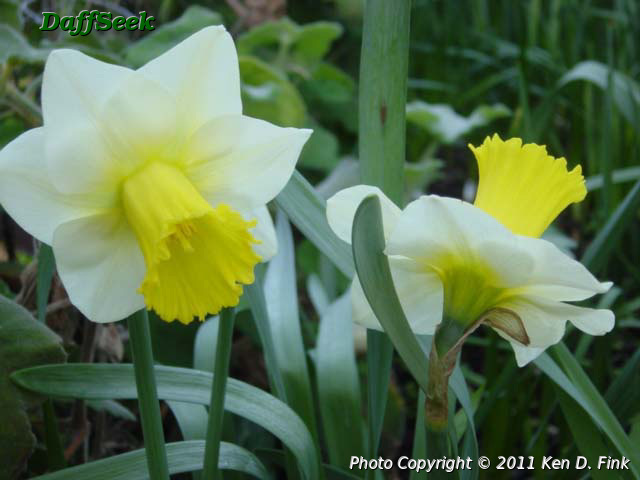 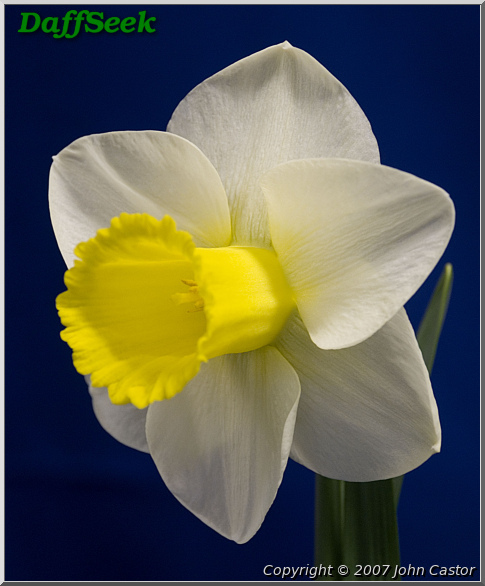 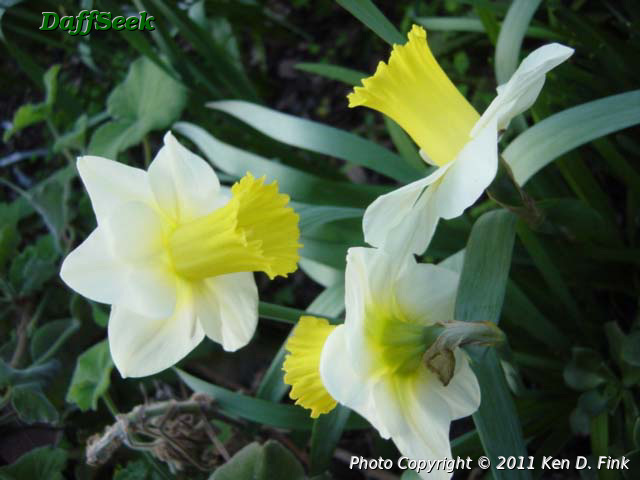 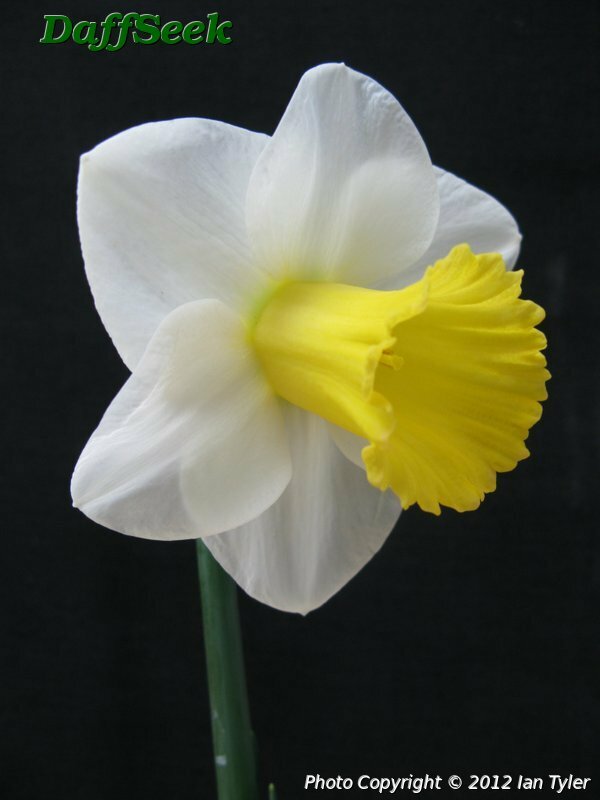 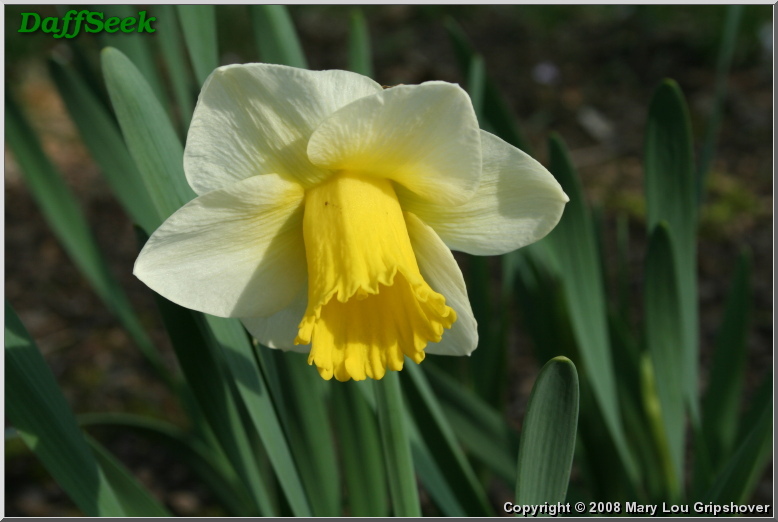 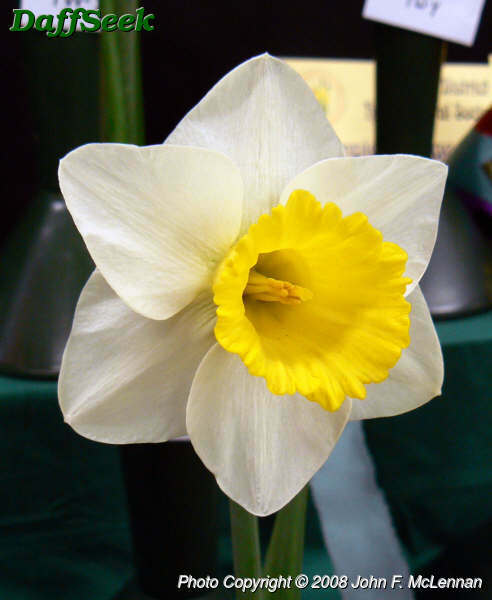 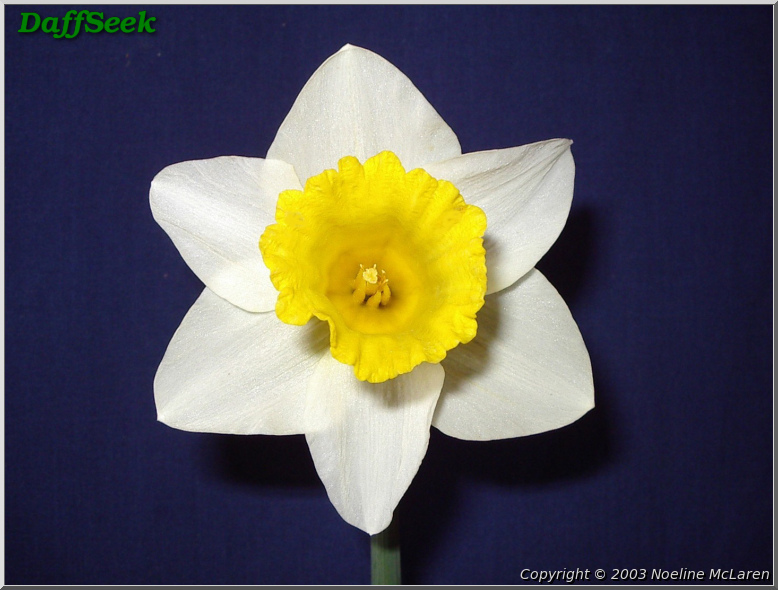 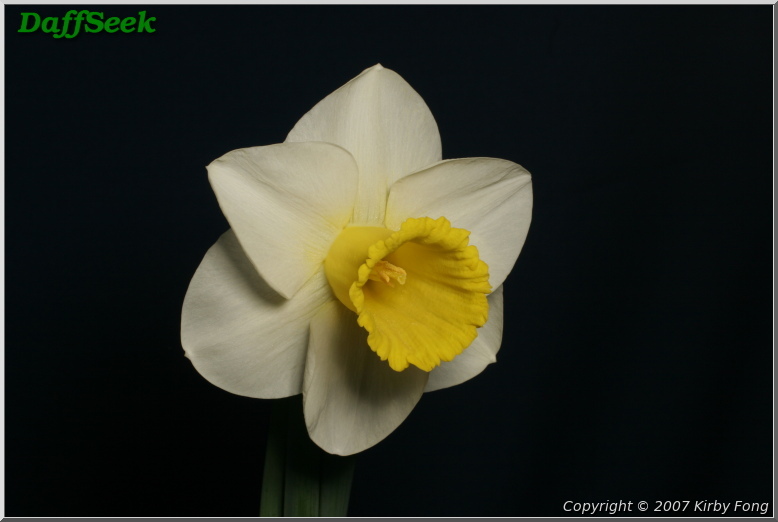 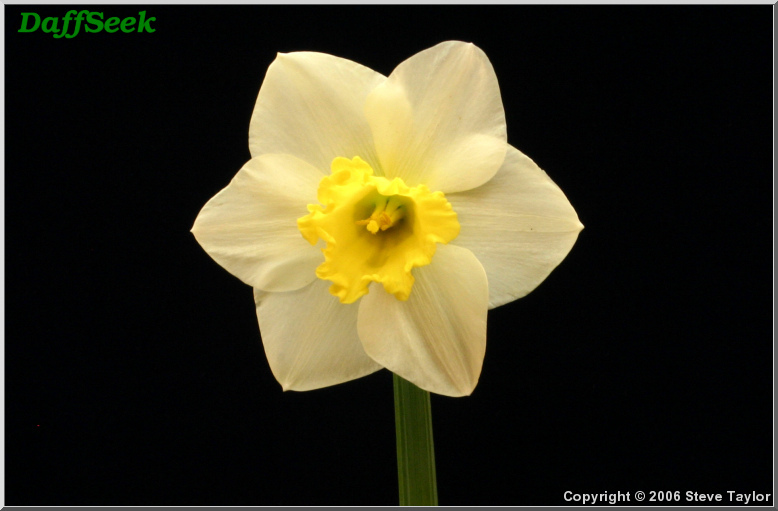 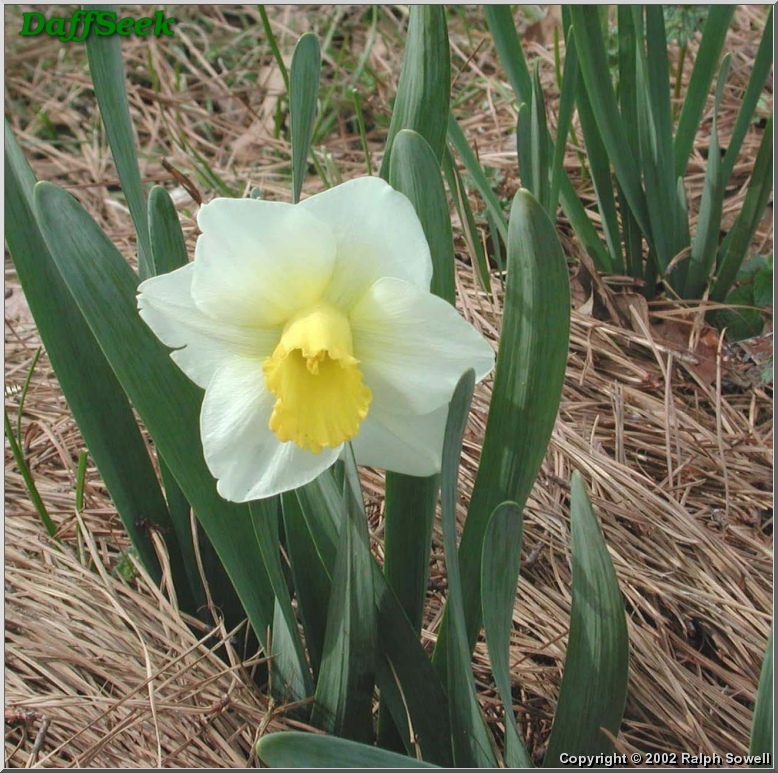 So Bill named this daffodil after Philips and its parentage.